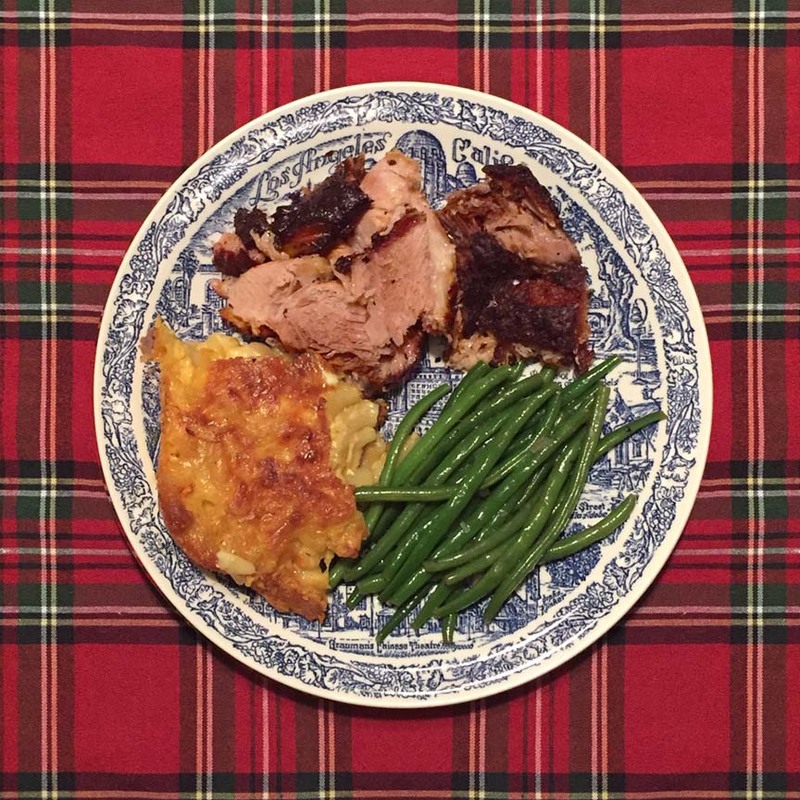 Pernil al Horno, String Beans and Mémère’s Mac & Cheese | Jouer avec le feu. I couldn’t decide what to cook, so I went with the Pernil al Horno – especially since I had not fixed it in two years. I prepared this with the usual side dishes. In lieu of a real Christmas tree, I went with a bottle of Spruce – a beer brewed with spruce tips – from Propolis and a three-year-old bottle of Ralph – a wild ale brewed with white fir tips and aged in Pinot Noir barrels – from The Ale Apothecary.